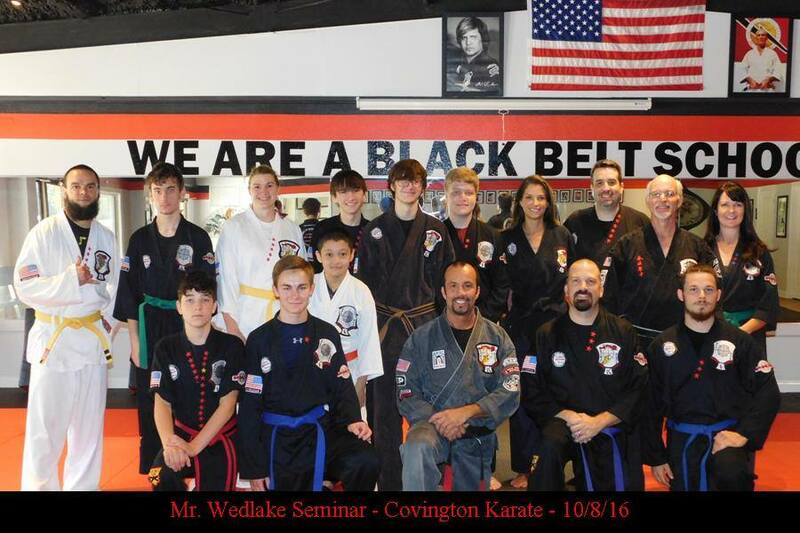 I was at Danny Sullivan’s Covington Karate Studio Oct. 7/9 2016. 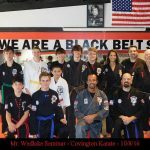 Friday night we had an exam and Mr. Paul Cavanaugh passed his test for 1st Black. He’s Mr. Sullivan’s second black belt. Saturday’s seminars were well attended. The first was on Judo throws. I taught some basic sweeps and hip throws after checking out their falling skills. The second session was on technique extensions and the third was on what I call “Broken” techniques. Those are techniques that can be broken into two, with either section usable as its own technique. On Sunday they had an Appreciation Cookout for students and families. I’ve been there the last three years and it’s always enjoyable. It’s hard not to have a good time in New Orleans.